Pictures are a must. Just visit websites of any shopping mall and you will find colorful pictures of products that lure you to purchase the items. 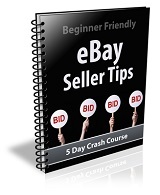 If you want to make great sales on eBay, uploading pictures is the best thing you can do. Yes believe it; pictures speak louder than the description given. A good and clear picture of your product does half the work of tempting the customer to purchase the item. Imagine you buying a product without even seeing it. To purchase an item only on the basis of its description is tough. We all want to have a look at things we wish to buy. Pictures are the first things to attract your customers. The one thing to do before selling goods on eBay is purchase a good digital camera. It need not be a high technology camera, but a piece that can help you get clear pictures which should look appealing to browsers. Before you list any of your products don’t forget to upload great pictures along with it to boost your sales. You can take three to four good pictures from different angles and upload two or three that can attract customers. With the help of basic software you can edit and make the pictures more attractive. This will work as a marketing tool and help you make great sales. Don’t use big pictures as it may have uploading problems. Always go for small and decent pictures that can give the customer an idea of how the product looks. If you plan to sell the same product throughout, make sure that you update your snaps and keep on adding better photographs.